“We got kids!” – Although grammatically inaccurate, “we got kids” is a statement that hilariously and accurately embodied how two parents felt after going from being hip Atlanta partygoers to frazzled parents to a set of twins. 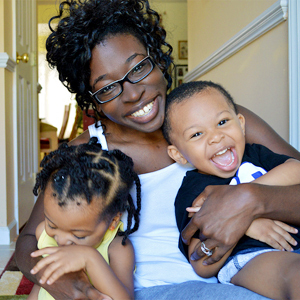 WeGotKidz.com was started by Kesha Phillips – a freelance writer and graphic designer. The blog simply began as a personal album of sorts and it has since turned into a full-fledged parenting and lifestyle guide for the would-be cool parent. Anjali Shah is a food writer, certified health coach, and owner of The Picky Eater, a healthy food and lifestyle blog. Anjali grew up a “whole wheat” girl, but married a “white bread” kind of guy. 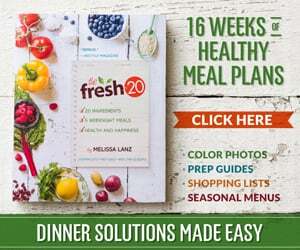 Hoping to prove that nutritious food could in fact be delicious and desirable, she taught herself how to cook and successfully transformed her husband’s eating habits from a diet of frozen pizzas and Taco Bell to her healthy, yet tasty recipes made with simple, wholesome ingredients. Anjali #getsfresh by bridging the gap between her husband’s “white bread” world and her “wheat bread” world – through cooking healthy, flavorful versions of her husband’s favorite comfort foods. Her recipes are full of healthy swaps — sneaking in tons of #fresh produce — and substituting in whole grains / lean protein wherever possible. Her most popular recipes include her Vegetarian Chili, her Healthy Lasagna Makeover, her Chocolate Brownie Oatmeal, and her Light and Gooey Cinnamon Rolls. Through her blog, The Picky Eater, Anjali shares her passion for tasty, healthy cooking.